La Barokka launches single with Italian artist Guerino Papa. La Barokka launched a single �L AMORE TORNA� with Italian artist Guerino Papa on a very popular Talk show on the Maltese Islands, BLA AGENDA, hosted by Norman Hamilton. 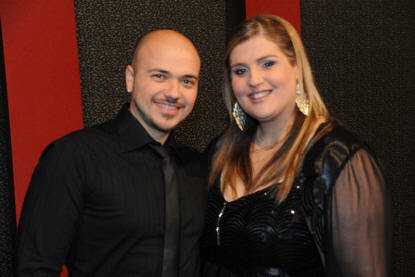 La Barokka and Guerino met last year in a show in Malta, and the Italian artist fell in love with her voice, and a few months ago, they started to work on a romantic duet, composed and written by Italian producer Francesco Colasanto. 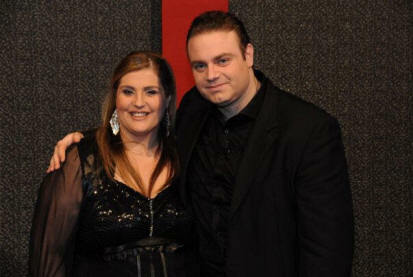 The song was performed in the presence of World Tenor Joseph Calleja who praised La Barokka and the Italian artist for this initiative. The song �L AMORE TORNA� is going to be part of Guerino Papa�s new album that will be out in April this year, that will be sold in Italy and Europe. This is the second time that La Barokka caught the eye of Italian producers. Last year she flew to Rome to record a song with Italian artist Jonie Falcone after being approached by Italian Director Rolando D�Angeli, the same person that managed many successful Italian artists including Nec and Giorgia. More is yet to come from La Barokka and Guerino Papa as both are already planning to do more collaborations together. Both artists form part of Wafa International.